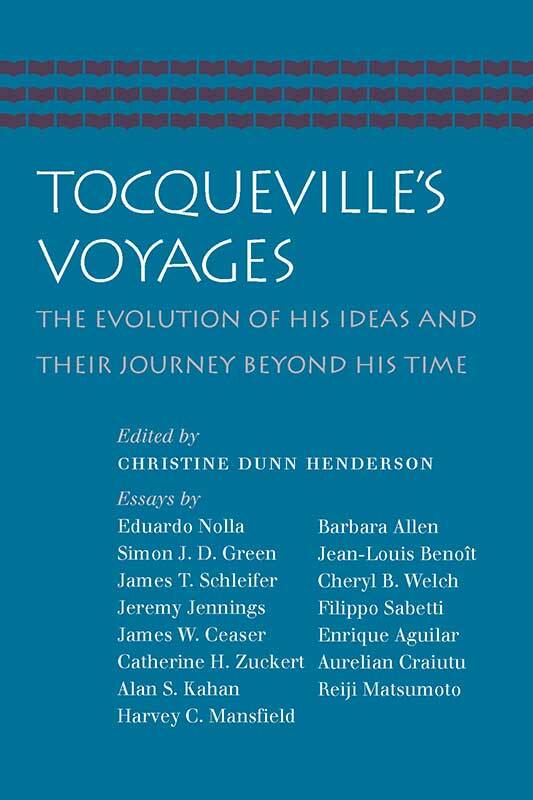 Tocqueville’s Voyages is a collection of newly written essays by some of the most well-known Tocquevillian scholars today. The essays in the first part of the volume explore the development of Tocqueville’s thought, his intellectual voyage, during his trip to America and while writing Democracy in America. The second part of the book focuses on the dissemination of Tocqueville’s ideas beyond the Franco-American context of 1835–1840 in places such as Argentina, Japan, and Eastern Europe. This book gives readers unprecedented access to the development of Tocqueville’s thought as seen through the eyes of some of today’s most preeminent Tocquevillian scholars. Not only do the essays shed fresh light on the ideas in Democracy in America, but they also invite readers to reassess previous interpretations of Tocqueville’s great work and to consider its continued relevance to the world today. Christine Dunn Henderson is a Senior Fellow at Liberty Fund. Introduction, note on the contributors, index.